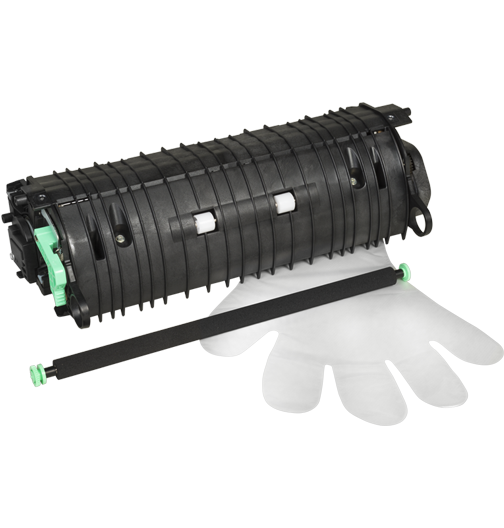 Ricoh 407512 Maintenance Kit This product is NEW and manufactured by Ricoh It has a full warranty and is not a remanufactured or re-furbished product. Using new Ricoh manufactured products can reduce wear & tear on your machine while maintaining the high level of output you expect from your equipment. Ricoh Genuine 407512 printing supplies offer great print quality and reliable performance for fast, professional quality color printing. The 407512 brings new toner formulation, cartridge architecture, and smart printing features to Ricoh's precision printing system. Easy to install and replace, Genuine Ricoh 407512 supplies ensure output consistency over the life of the cartridge and make supplies easy to maintain by providing status monitoring and proactive alerts when replacement is needed. Designed together with your Ricoh printer, 407512 supplies ensure crisp, sharp, vibrant results every time. To Recieve updates and possible rewards for Ricoh 407512 please sign in. To Recieve updates and possible rewards for Printer Cartridge, Ink & Toner please sign in.